MyVacationBoat.com increases shares to raise capital for continued successful growth. The Board of Directors for MyVacationBoat.com, the new self-service, peer-to-peer yacht charter listing and boat rental website, has announced that it has increased the numbers of capital shares to 3,000,000, at a price of $0.10 per share. 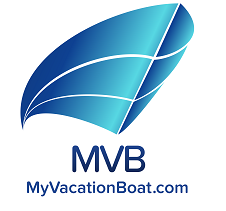 "In the short amount of time that we're been a live site we have seen solid and significant acceptance," said Paul Abraham, founder of MyVacationBoat.com. "This move to increase shares is to continue the completion of our mobile application and extend our aggressive marketing campaign. Our mission is to be the central website for all yacht and boat charters around the world." We now feature vessels from California, Florida, Massachusetts, Pennsylvania, Michigan, Caribbean and Mexico. MyVacationBoat.com launched its online service earlier this year to take advantage of the growing trend for “peer-to-peer” service websites. Recognizing that the yacht charter industry needed a central, online destination to facilitate boat rentals, MyVacationBoat.com provides charter listings with full details about the vessels, including boat specifications, location, rates, a visual daily/monthly calendar showing availability, and direct contact details. The listings also accommodate videos and make it easier to market boat rentals through online outlets and social media such as Twitter, Facebook and YouTube. An annual subscription allows users to list their vessel for $199 (USD), and $149 for each additional vessel. Discounts are available for volume yacht chartering inventories. 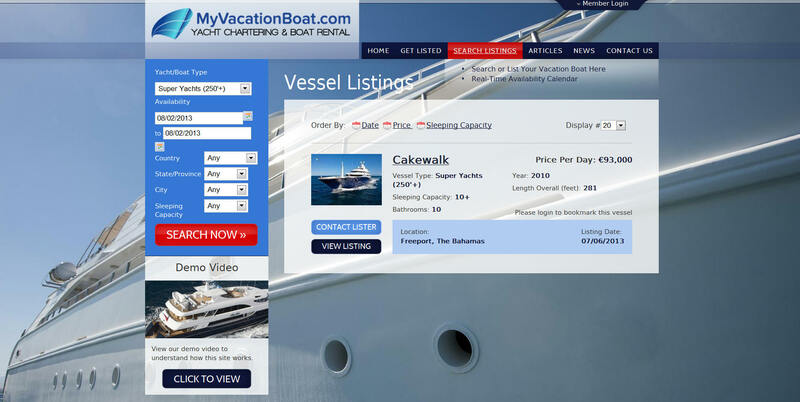 As part of its service launch promotion, MyVacationBoat.com has waived its annual subscription fee for the first charter brokers and owners to list their vessels.